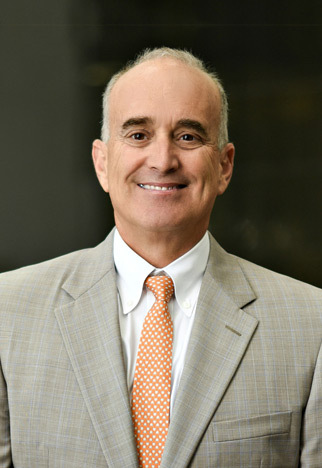 For more than 30 years Dean G. Pappas has represented insurance providers under the Texas Workers’ Compensation Act at both the administrative and district court level. Mr. Pappas’ commitment to clients in the insurance industry and his knowledge of Texas workers’ compensation law are the cornerstones of his practice. Mr. Pappas has an extensive trial docket and specializes in defending employers’ liability, workers’ compensation cases, non-subscriber claims and general liability cases in district courts throughout the state of Texas. Mr. Pappas has tried more than 100 cases before juries in Harris and neighboring counties. He reported the first jury verdict under the 1991 Texas Workers’ Compensation Act. Mr. Pappas represents numerous insurance carriers and self-insured entities before the Texas Department of Insurance, Division of Workers’ Compensation (formerly the Texas Workers’ Compensation Commission). Mr. Pappas has handled hundreds of Contested Case Hearings before the Division of Workers’ Compensation. Mr. Pappas also has spoken at numerous seminars involving practice before the Division of Workers’ Compensation. Mr. Pappas was born in Houston, Texas. He earned a B.A. in political science from the University of Houston in 1981. Mr. Pappas received his J.D. from South Texas College of Law in 1985. Mr. Pappas is a member of the Texas State Bar and also is admitted to practice in the U.S. District Court, Southern District of Texas. Tommy L. Smith is a founding shareholder of Dean G. Pappas Law Firm, PLLC and brings a wealth of experience from more than a decade as a claims manager for one of this state’s largest insurers to 30 years of legal practice in the area of workers’ compensation law. Mr. Smith’s practice is largely comprised of the defense of workers’ compensation claims and he has participated in hundreds of Benefit Review Conferences, Contested Case Hearings and disputes before the Appeals Panel at the Texas Department of Insurance, Division of Workers’ Compensation (formerly the Texas Workers’ Compensation Commission). In the early 1990s, Mr. Smith was among the first attorneys to participate in Contested Case Hearings under the newly created Texas Workers’ Compensation Act. Mr. Smith frequently conducts seminars for the insurance industry and has written papers for and participated in the Advanced Workers’ Compensation Seminar presented by the Texas State Bar. 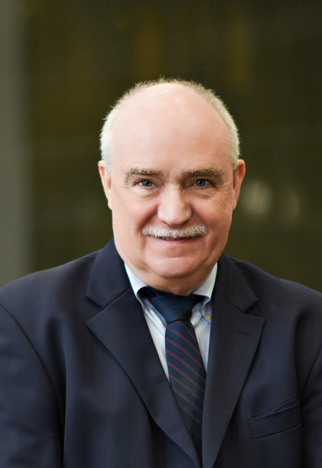 He is a co-author of “Administrative Penalties and Sanctions” – Chapter 44 of Matthew Bender & Co., Inc.’s Texas Workers’ Compensation Law, Volume II. Mr. Smith was born in Pocahontas, Arkansas, and earned a B.A. in sociology and pre-med, as well as an M.A. in sociology from Baylor University. Mr. Smith received his J.D. from South Texas College of Law in 1988. He is a member of the Texas State Bar. Mary M. Markantonis joined Dean G. Pappas Law Firm, PLLC shortly after the firm was created, bringing a wide array of experience in civil law. Ms. Markantonis’ knowledge of pre-trial and appellate procedure enhances her practice in the area of workers’ compensation law. Ms. Markantonis began her legal career as a sole practitioner, handling a variety of civil and family law cases as well as transactional matters. Thereafter, she acted as general counsel to a local developer, concentrating in real estate, financing, labor management, property and business management areas of law. Ms. Markantonis’ practice now largely consists of workers’ compensation related litigation, subrogation, general and premises liability defense, insurance defense, pre-trial procedure and appellate work. Ms. Markantonis has represented firm clients in Texas state courts, federal courts and before the Supreme Court of the United States. Ms. Markantonis was born in Houston, Texas, and received a B.S. in mathematics from the University of Texas. She earned her J.D. from Southern Methodist University School of Law (now known as the Dedman School of Law) in 1977. Ms. Markantonis is a member of the Texas State Bar and also is admitted to practice before the U.S. District Court Southern District of Texas, U.S. District Court Eastern District of Texas, the Fifth Circuit of the United States Court of Appeals and the Supreme Court of the United States. Marilyn J. Allen is a licensed attorney with a unique background in both private practice and in government. 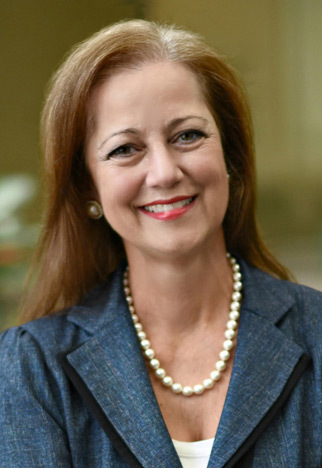 Prior to joining Dean G. Pappas Law Firm, PLLC, Ms. Allen was a Hearing Officer for five years with the Texas Department of Insurance, Division of Workers’ Compensation presiding over hundreds of Contested Case Hearings on indemnity disputes arising under the Texas Workers’ Compensation Act. Before her state service, Ms. Allen served as an assistant city attorney with the City of Houston Legal Department and was a member of the Forfeiture Abatement Support Team (F.A.S.T. Unit), a multi-agency initiative composed of police officers, neighborhood protection investigators and city attorneys which interfaced directly with neighborhood associations in order to prosecute common nuisances. In that position, Ms. Allen used civil litigation to shut down illegal enterprises that knowingly tolerated criminal activity. Ms. Allen began her legal career in private practice and for eight years represented a wide variety of clients with matters concentrating in the areas of personal injury, insurance defense, commercial litigation, product’s liability, premises liability and workers’ compensation. Before attending law school, Ms. Allen was a police officer with the Houston Police Department for five years and worked as a patrol officer and an internal affairs investigator. Ms. Allen was born in Lincoln, Nebraska and received a B.A. in Sociology from Purdue University Northwest. She earned her J.D. from Texas Southern University in 1999. Ms. Allen is a member of the Texas State Bar and the Houston Bar Association. 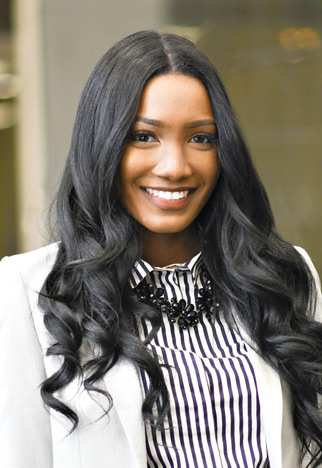 Teylor Mark is a native Houstonian that developed her passion for law at a young age. As a first-generation American, Ms. Mark became quickly familiarized with immigration law. She received her Bachelor of Arts Degree in Political Science and History from Texas State University in 2011. As a student, Ms. Mark volunteered with a Harris County Juvenile Court and the American Immigration Association, where she further developed her passion for protecting the rights of others. Ms. Mark earned her J.D. from South Texas College of Law in 2015. Prior to joining Dean G. Pappas Law Firm, PLLC as an associate attorney, Ms. Mark gained valuable legal experience working as a law clerk for a Houston general practice law firm. Ms. Mark also worked as a legal compliance analyst, in which she became acclimated to the fundamentals of Texas workers’ compensation law. Ms. Mark now focuses on worker’s compensation related litigation, subrogation, insurance defense and pre-trial procedure. Ms. Mark is a member of the Texas State Bar, Houston Young Lawyers Association, and Houston Volunteer Lawyers. 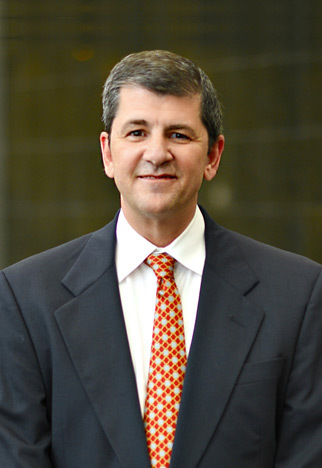 Mr. Vlahakos recently joined the Dean G. Pappas Law Firm, PLLC in late 2017 bringing over 20 years of experience of trying lawsuits as a partner at Jackson Walker, LLP, one of the largest law firms in Texas, and managing litigation at Halliburton Energy Services, Inc. for nearly seven years in the Law Department’s Litigation Practice Group. Mr. Vlahakos tried many different types of litigation at Jackson Walker including personal injury, breach of contract, software development agreements, warranty claims, design defect claims, real estate claims, intellectual property rights, environmental contamination claims, and expert witness preparation. At Halliburton, Mr. Vlahakos oversaw patent infringement litigation resulting in a verdict of over 30 million dollars, and numerous successful arbitrations and mediations. Mr. Vlahakos’ practice now largely consists of personal injury litigation, subrogation, general and premises liability defense, insurance defense, pre-trial procedure and expert witness preparation. Mr. Vlahakos has represented clients in Texas state courts and federal courts and is approved to practice before the Southern, Northern, Western and Eastern federal courts in Texas. Mr. Vlahakos was born in Houston, Texas, and received a B. S. in Hotel and Restaurant Management from the University of Houston. He earned his J.D. from South Texas College of Law in 1995. Mr. Vlahakos is a member of the Texas State Bar and the Litigation section and is admitted to practice before the U.S. District Court for the Southern District of Texas and all other federal courts in Texas. 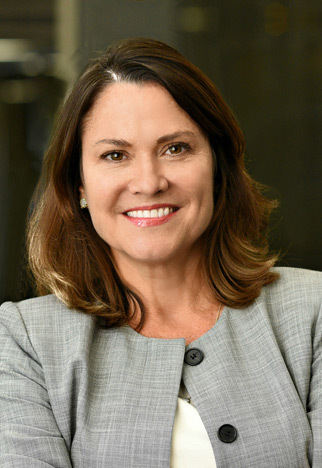 Before joining Dean G. Pappas Law Firm, PLLC, Renee C. Keeney gained extensive experience in the insurance industry working as a licensed Texas adjuster for Sentry Insurance, The Hartford, State Office of Risk Management as well as Service Lloyds Insurance Company in various capacities. Ms. Keeney assists clients in the firm’s Austin office. 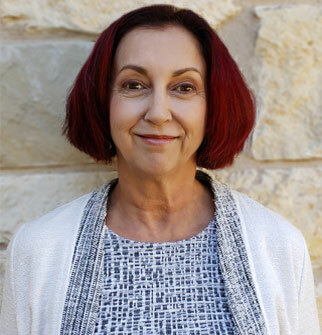 She handles a wide range of matters and issues before the Texas Department of Insurance, Division of Workers’ Compensation, including compliance & practice and medical dispute resolution. Ms. Keeney oversees the filing of time-sensitive documents daily with the Division of Workers’ Compensation and the distribution of Division mail to clients. Ms. Keeney was born in Washington, D.C., and has been an insurance professional since 1978, specializing in the area of workers’ compensation. Specializes in Workers’ Compensation claims ! The attorneys of Dean G. Pappas, PLLC take pride in representing and serving the insurance industry as well as self-insured entities and non-subscribers.